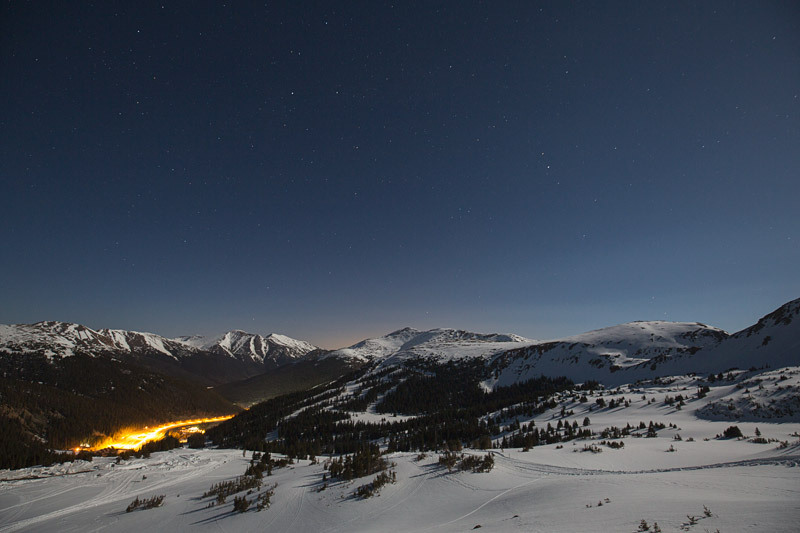 Tuesday night I was invited to join a group of friends from Golden, Colorado on a full moon tour of Loveland Ski Area. 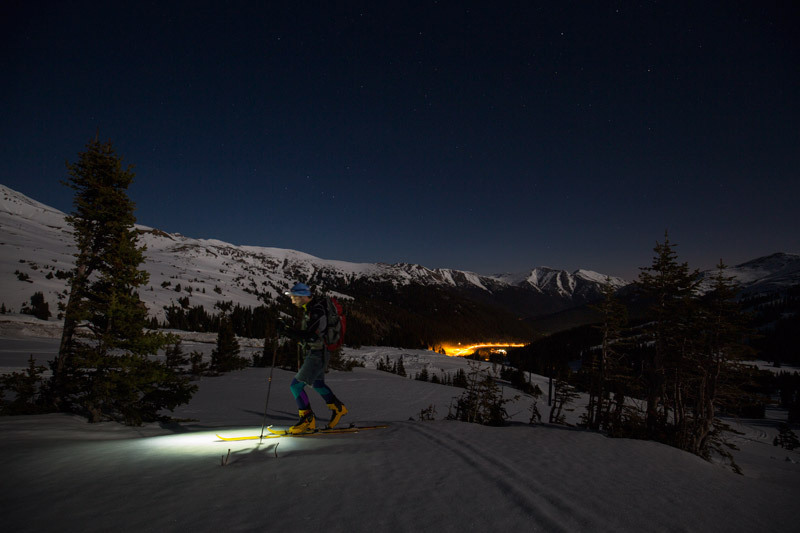 We left Golden around 9:30pm and started skinning uphill around 11pm, after a brief encounter with an agro security guard. 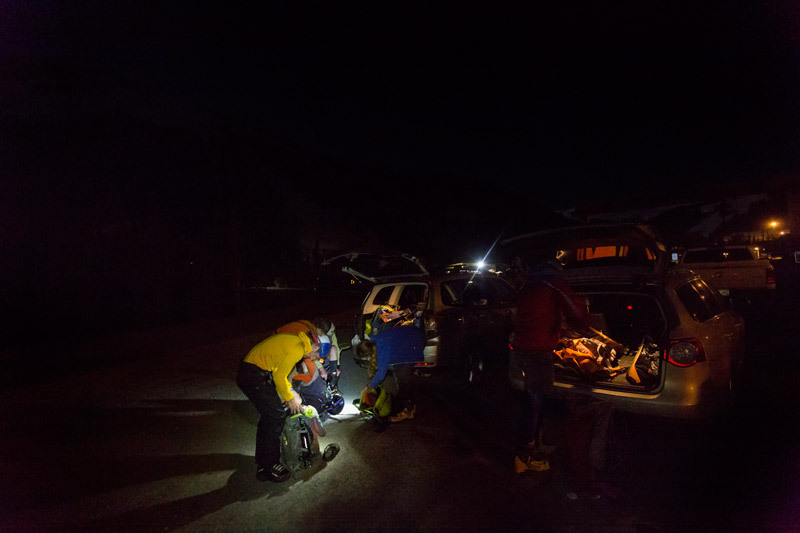 Most of the snow had been chopped up by what looked like 1,000 snowmobiles, and had refrozen into a sea of rock-hard rough tracks – not the most pleasant conditions. Up high, the untouched snow was also rock hard, but it was at least fun to skate on. 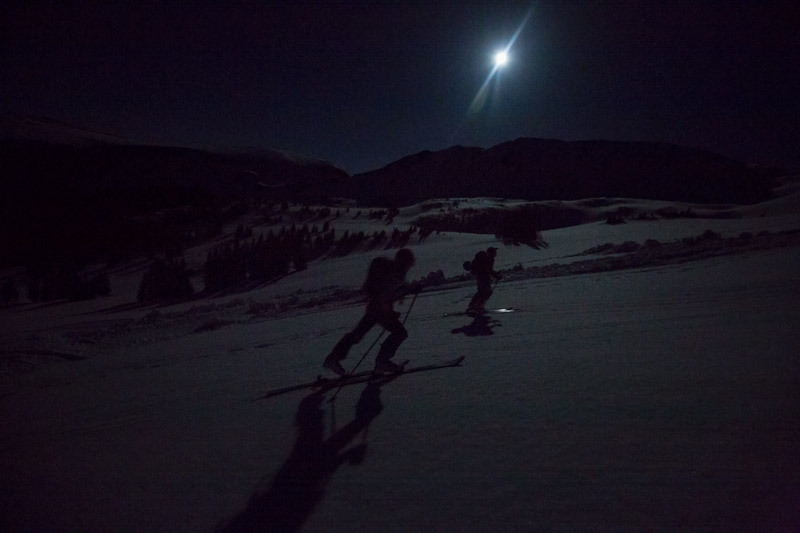 The full moon illuminated the entire mountain range and the bright stars filled the endless sky. We reached the hut at the top of Chair 2, drank a beer, and descended, mostly without incident. The snowmobile and snow-cat tracks took some navigation to get through and rivers flowed where trails once were. 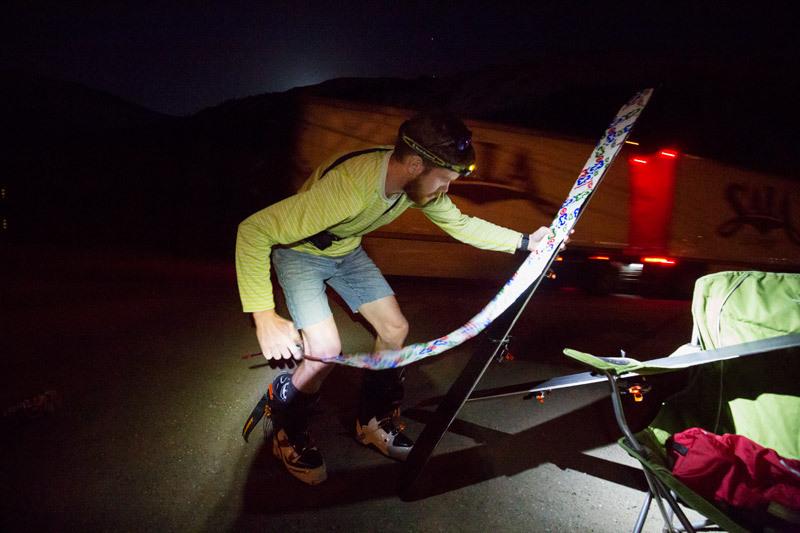 But carrying our skis through the mud at the base area of Loveland, we shared nothing but laughter and stoke. What can you wear when skinning in June but jorts?